I was given tasks to work on independently and was trusted to use my initiative, which made me feel like a valued member of the finance team. 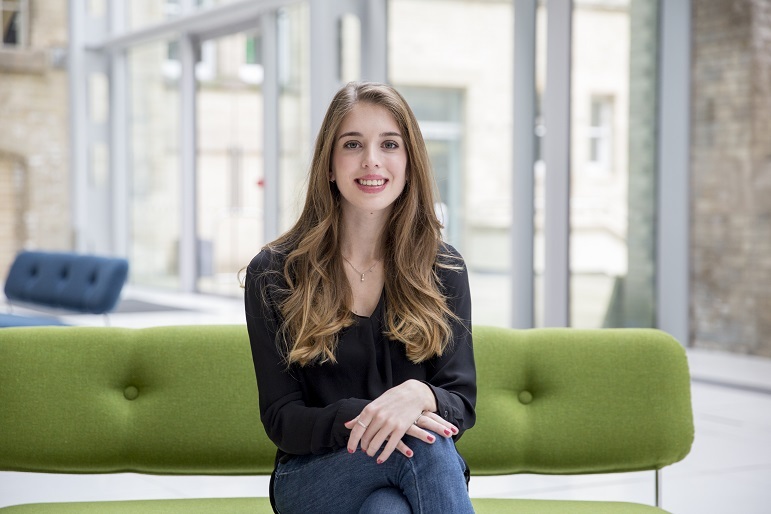 "As part of my BA (Hons) Accounting and Finance degree at Nottingham Business School, I completed a one-year work placement, which I secured with Paul Smith LTD.
“I initially found my placement on InPlace, which is the University’s platform for placements and internships. I had previously met a student in their final year of my course, who had completed a placement at Paul Smith so I was able to get more information about the role, which cemented my decision to apply. “The first step was to apply directly to Paul Smith with my CV and covering letter. I was then invited to attend an interview at their head office. Beforehand, I was told that there would be a ‘job specific test’ included in the interview. My interview was with my Line Manager and the HR advisor recruiting for the role. It consisted of a fairly informal conversation regarding information on my CV, and the content of my degree so far. I then completed a 5 to 10 minute test on Microsoft Excel, which concluded the interview process. Then, a few days later, I was offered the placement. I received help from the Employability team on multiple occasions to secure my placement. They guided me through the process of creating a CV and helped me put together a covering letter, which could be adapted for each company I was applying for. “After securing my placement I received a handbook from NTU, with guidance on what we should be doing over the course of the next 52 weeks, and what we should expect in terms of contact with NBS. Within the first couple of weeks NBS made sure I was settling in nicely and they answered any queries or concerns I had at that point. I also received an email from the leader of my course providing a couple of staff members that were happy to be a point of contact during my placement if I had any questions, which was really reassuring. “A few months into my placement, I received a visit from my placement tutor who ensured all was still going well and encouraged me to start thinking about my research project for the final year. We also spoke about how my course related to my placement role, which helped me when creating my re-call day presentation. This was in March and involved creating a presentation about my time at Paul Smith. It helped me to reflect on, review, the skills I had learnt, and think about what further objectives I needed to work on in my final year. The thing I most enjoyed about my placement was being part of a team and knowing that my role was important. I also enjoyed furthering my skills on Microsoft Excel, which I know will be valuable when applying for graduate roles. “I would encourage anybody to take part in a placement year if they are able to. Not only was I able to build my accounting and analytical skills, I was also able to enhance skills such as communication, time management, organisation and confidence. In addition, my placement helped me decide what sort of job role I want after university. I hadn’t previously considered a role like the one I had but now I would like to specifically work in a similar role. Overall, I believe that doing a placement undoubtedly provides you with key experience, which can put you in good stead when looking for jobs once graduated."